2012 IECC with state-specific amendments. These amendments, especially those pertaining to the minimum allowed performance of insulation and fenestration, bring the effective results of the 2012 IECC in Idaho back to the levels contained in the 2009 codes. Updated codes are adopted every three years by the Idaho Legislature as they are revised by the International Code Council (ICC). Code amendments are adopted by the Idaho Building Code Board. Three-year code review cycle, concurrent with the publication of new editions of the model codes. The Idaho Division of Building Safety has adopted an administrative rule updating the commercial energy code to be based on the 2015 IECC with amendments. This rule is now pending review by the 2017 Idaho State Legislature for final approval. The complete text of the proposed rule was published in the October 5, 2016 Idaho Administrative Bulletin, Vol. 16-10, pages 81-89. Residential: 2012 IECC with amendments, bringing the effective results back to the levels contained in the 2009 codes. 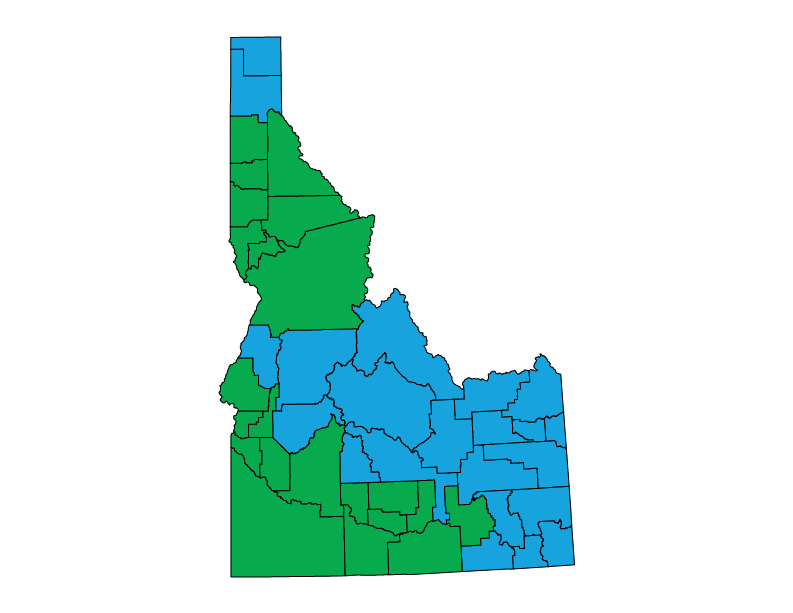 After approval by the state legislature in 2010, Idaho implements the 2009 IECC statewide. After approval by the state legislature this year, the Idaho Division of Building Safety’s Building Code Board moves to adopt the 2009 IECC. On June 8th, the Board meets to consider proposed amendments to the 2009 IECC. The governor signs House Bill No. 220, adopting the 2006 editions of the IBC, IRC, and IEBC, as well as reaffirming the use of the 2006 IECC. The governor signs HB 137, which makes the 2006 IECC mandatory for new buildings statewide effective January 1, 2008. House Bill 756 is signed into law, updating the Idaho Building Code Act (Idaho Statutes Title 39, Chapter 41) to include the 2003 IECC. The new code becomes effective January 1, 2005. Idaho approves its first statewide commercial energy code along with new residential energy standards through House Bill 586. The legislation requires local governments that issue building permits and enforce building codes to adopt the 2000 IECC by January 1, 2003. The 2000 IECC has been adopted for all state buildings. All state buildings are required to meet ASHRAE 90.1-1989. The City of Idaho Falls and Kootenai County enact the Northwest Energy Code (NWEC), which includes by reference ASHRAE 90.1-1989. Idaho will be the last state in the region to adopt a non-residential energy code.